It is also fitted straight onto EasyBase using strong straps, no need for tools, its ideal for sportswear, sports equipment, etc. 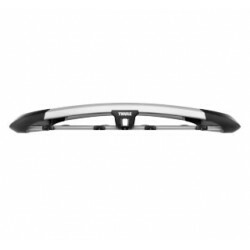 The Thule Roof baskets is made of waterproof material, with taped seams and a zipper with integrated lock. The premium carrier basket with integrated functions. Exclusively designed in silver aluminium.. 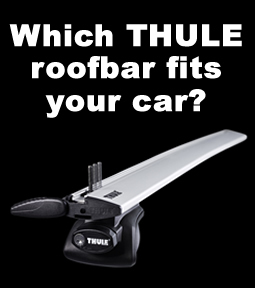 WHICH THULE ROOF BARS FIT YOUR CAR? 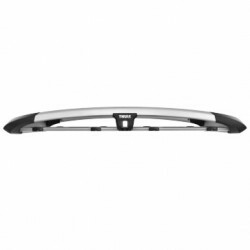 Use our Fit Guide to see which bars fits your car or van. MotamanOnline.co.uk is a trading style of TradeSites Ltd. and has no association with the websites former operator Motaman (Bristol) Limited or Thule UK. However, as an official Thule distributors we have the UK's largest choice of Thule products and parts, most of which are available for immediate dispatch. So for low prices, great offers and top service, look no further.